Sometimes you just need a simple comfort. 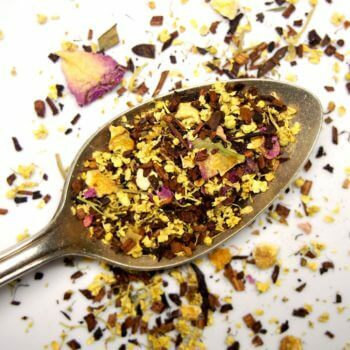 That’s where our vanilla cream tea comes in – grounding honeybush tea pairs with a creamy vanilla extract, resulting in a simple and yet deliciously satisfying vanilla herbal tea brew. 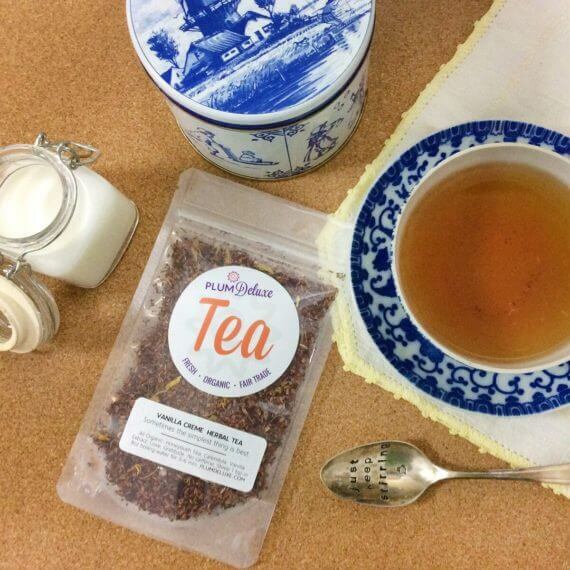 This tea is wonderful for those still moments like relaxing on the back porch enjoying the breeze; it also makes a phenomenal cuppa to satisfy a sweet tooth (though we will say this tea takes wonderfully to a touch of sweetener). If you haven’t had honeybush tea, you’re in for a treat. 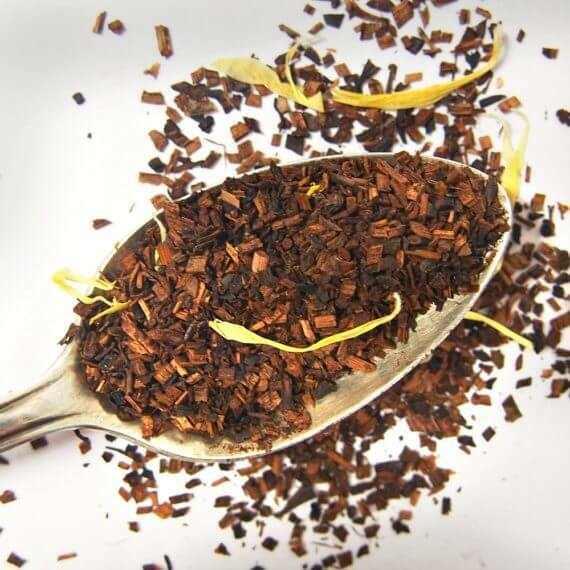 Earthy with a rich, honey tone, the vanilla creates a lovely balance; even if you are wanting caffeine, you may find this a new favorite in your tea cupboard. I don't think it could get any better! First the aroma of the tea in the pouch and then of the tea in the cup ... I think I could get ***** on this blend! It smells and tastes like memories of home, mom, and my childhood. This makes a perfect dessert tea. It satisfies the sweet crave. It is a tea that you can just sit and reflect on life with. I put it in my favorites list and will be reordering often. I received a sample of this tea, and while I am normally not a fan of simply vanilla teas, I was pleasantly surprised with this! Normally I find Vanilla teas to be plain and leave a weird after taste for me, but the addition of the creme in this tea both highlights and controls the after taste. 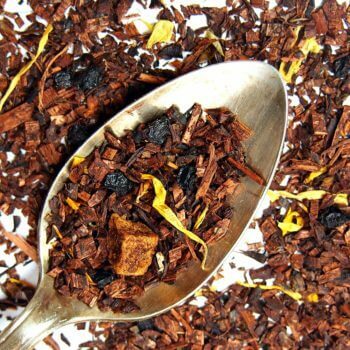 This tea has such a wonderful, simple flavor in all the right ways. I sweeten it with a tad of honey and it makes THE best evening tea that satisfies my sweet tooth and makes me feel cozy. I was looking for a replacement for the Vanilla Creme herbal blend from the late, lamented Teavana when I ordered this. It's a very good successor, in my opinion - a lovely balance between the honeybush and the vanilla. Will buy this again! Ingredients: Honeybush Tea, Calendula, Vanilla Extract, Love, Gratitude. No caffeine. Preparation Instructions: Steep 1 tsp in 8oz boiling water 3-5 min. Suggested Uses: Perfect for those calm and still moments. Takes nicely to sweetener.